The best thing is that the presentations are available for anyone interested. Link at the bottom of this post. I have embedded some videos from the seminar in the playlist as well. During the seminar, Telefônica talked about their fire fighting Antifire drones which are helping detect, survey and combat fires before, during and after a fire breaks out. Turkcell talked about their Dronecell. The 5G connected drone can be used for many different purposes from inspection, photos and videos to providing temporary coverage in case of disasters. 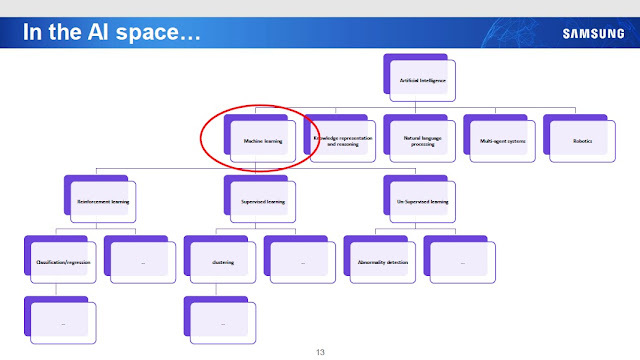 One of the interesting use cases was also surveillance (see video). They are also working with a local drone company, see here. For Dronecell they are testing with different vendors like Huawei, Airspan, etc. and also have their own hardware (see pic above). The Latvian mobile operator Mans LMT talked about how Drones in combination with Sensors and AI can provide endless opportunities. In addition drones can also be used for delivering goods and rescue missions. Finally, LMT with Lufthansa Systems are working on a mobile, connected UTM platform for drone solutions and traffic management (see video below). In addition enjoyed a virtual ride in Ooredoo’s 5G-enabled Aerial Taxi. Also happened to bump into Robert Joyce who used to work for Telefonica O2 UK and used to be very active in O2's small cells rollout during 2012 London Olympics. See here, here & here. Huawei showed SkySite: A Drone with 5G base station & '5G Book' RRU. I blogged about it here. 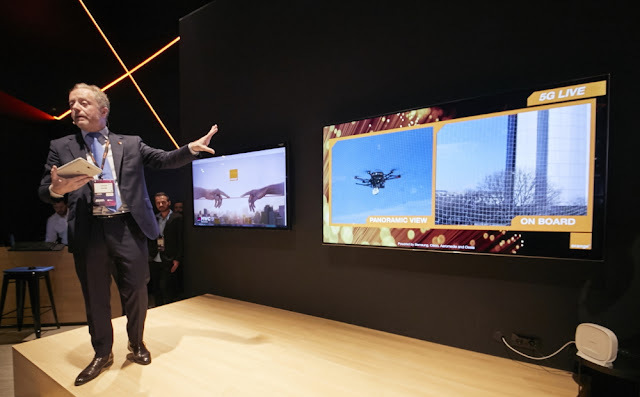 Finally, Samsung Electronics, Cisco and Orange unveiled "A Drone carrying a very low latency, high-quality video system is piloted from the Orange booth at the Fira de Barcelona. 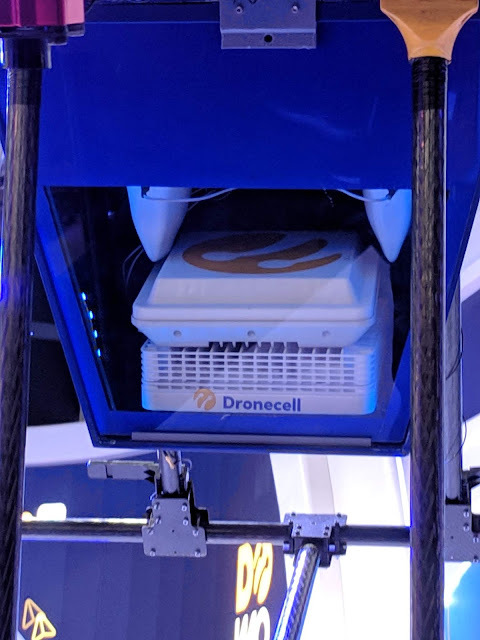 The drone, which is located outdoors at an Orange datacenter, carries a 5G router (CPE) that is used to transfer commands to the drone and transmit a high-quality video feed with low latency. At the Orange booth, the pilot can be seen controlling the drone by using a 5G tablet. Aeromedia, a leading drone operator, collaborated in this demo." Sadly, I didn't manage to find this and couldn't see any videos either. Here is a video playlist of Drones from MWC. I am also running a webinar next week looking at 5G @ MWC 2019 on behalf of Parallel Wireless (#PWTechTrain) . Along with drones, I plan to talk about lot more things. Register here. 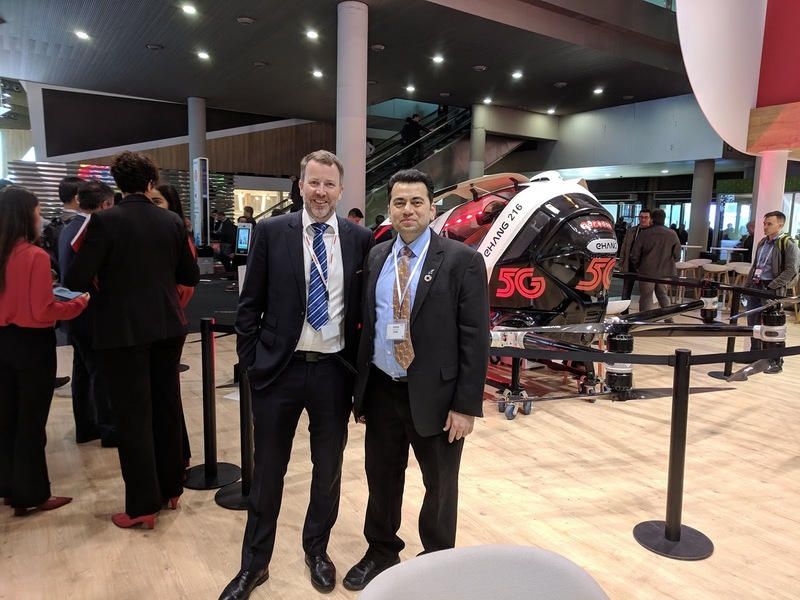 Presentations from "MWC19 Barcelona Seminar: The Internet of the Skies – Connecting Drones" available here. GSMA IoT contains good amount of information on drones. Link. I have discussed about the UK's Emergency Services Network (ESN) multiple times but I manged to hear about the progress first hand this week. Bryan Clark, ESN Programme Director, Home Office gave a keynote address at BAPCO on Day 2 and the title of his presentation was "2019: The year vision becomes reality"
British APCO or BAPCO Annual Conference and Exhibition 2019 was going to be a big launchpad for the ESN network. The ESN LinkedIn post said "Representatives from ESN and EE will be on hand to discuss coverage and ESN Assure. 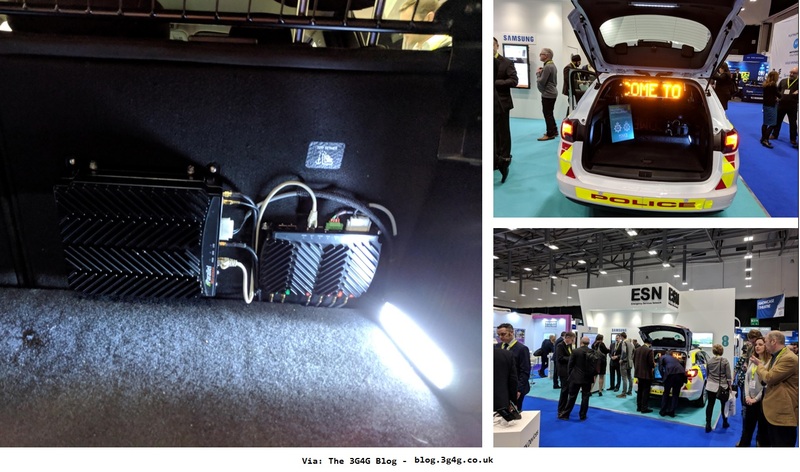 See an installation of the ESN Gateway solution within a police car, plus a live demonstration showing how ESN coverage can be extended from a vehicle into a building. We’ll also have a ‘Motorola Zone’ where you can watch demos of Kodiak and the ESN self-service portal – and a large touchscreen demo of the Samsung ESN Galaxy"
Bryan started by cracking a joke about people referring to 'ESN' as 'ES When' programme because it has been delayed multiple times. He said straight in the beginning that he going to talk about what the ESN programme is doing now and what comes next. There are 137 separate organizations that will take advantage of this new this new technology. Over 100 aircraft need to have an air network access that currently isn't there. There are nearly 30 direct suppliers to the program and that doesn't include the whole supply chain through each of those suppliers. 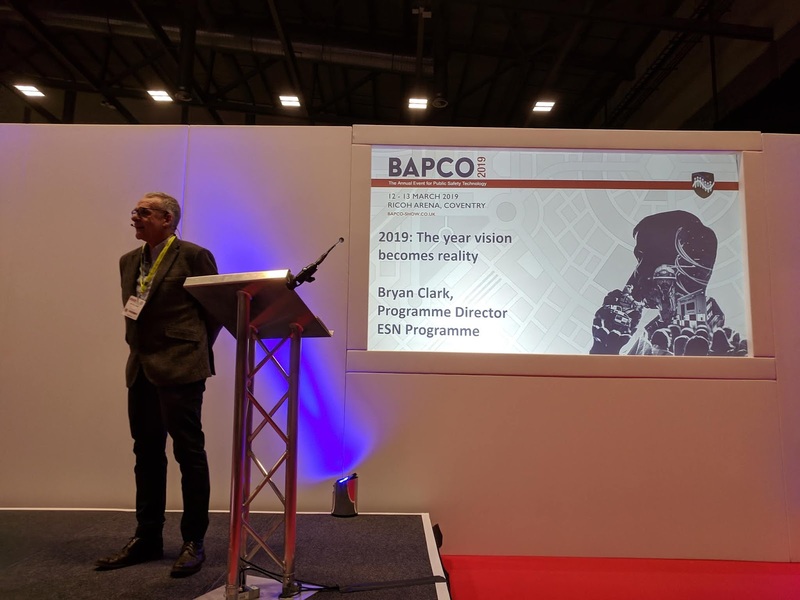 Looking at the coverage, there is a commitment to providing a signal along half a million (0.5 million) kilometers of roads in England, Scotland & Wales. It extends 12 nautical miles out to sea and 10,000 feet in the air right across England, Scotland & Wales. In London alone there are over 400 kilometres of tunnels that were actually almost finished cabling out. 300 masts are being built as part of the ESN programme to extend services into remote areas. EE has extended their network by adding 700 additional masts. ESN is a large programme so it's hardly surprising that it's very late. It's Bryan's job over the past 10 months to work out how to get it back on track. People are going through quite a detailed review of where ESN has got to in terms of next steps. The programme now has a very clear and approved plan to complete the technical element of the work, most of it should be done by late summer next year. One of the first products, Assure, is a way of testing the effectiveness of the network in the field. A demonstration of Push-To-Talk (PTT) on a 4G network will be demoed within 3 weeks. Even though the technical piece is quite challenging, when you compare it to the business change that follows, the technical part looks pretty simple. To ensure that everything works effectively operationally, plans are in place but more detailed plans are going to follow in the coming three to four months. Programme deployment should start by the end of 2019 in terms of having basically completed laying the core components and a clear plan will be in place for how to test in an operational context. The number one priority is to provide critical voice communications of sufficient quality that people can rely on in the field and enable them to move away from the TETRA technology that served them so well. So we aren't going anywhere until we've got rock solid critical voice communications. It's our number one priority, simply because people's lives depend on it. The following are various videos from the ESN demo area. The Gateway device (which is a mobile small cell) is supplied by Parallel Wireless*. *Full Disclosure: I work for Parallel Wireless as a Senior Director in Strategic Marketing. This blog is maintained in my personal capacity and expresses my own views, not the views of my employer or anyone else. Anyone who knows me well would know this. 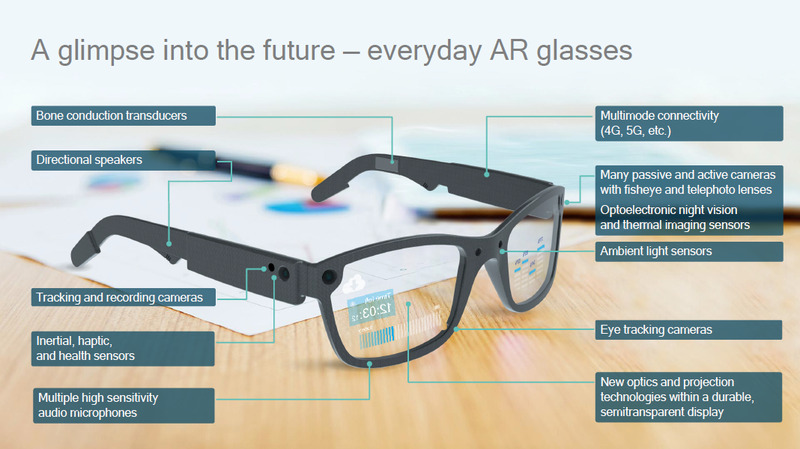 Can Augmented & Mixed Reality be the Killer App 5G needs? Last October Deutsche Telekom, Niantic and MobiledgeX announced a partnership to create advanced augmented reality experiences over mobile network technologies. I was lucky to find some time to go and play it at Deutsche Telekom booth. The amount of processing needed for this to work at best also meant that the new Samsung Galaxy S10+ were needed but I felt that it also occasionally struggled with the amount of data being transferred. At the Deutsche Telekom booth at MWC 2019 (hall 3, booth 3M31) the results of the previously announced collaboration between Deutsche Telekom, Niantic, Inc., and MobiledgeX are on display and you’re invited to play. Niantic’s “Codename: Neon”, the world’s first edge-enhanced Mixed Reality Multiplayer Experience, delivered by ultra-low latency, Deutsche Telekom edge-enabled network, and Samsung Galaxy S10+ with edge computing enablement, will be playable by the public for the first time. “The ultra-low latency that Mobile Edge Computing (MEC) enables, allows us to create more immersive, exciting, and entertaining gameplay experiences. At Niantic, we’ve long celebrated adventures on foot with others, and with the advent of 5G networks and devices, people around the world will be able to experience those adventures faster and better,” said Omar Téllez, Vice-President of Strategic Partnerships at Niantic. The collaboration is enabled using MobiledgeX’s recently announced MobiledgeX Edge-Cloud R1.0 product. Key features include device and platform-independent SDKs, a Distributed Matching Engine (DME) and a fully multi-tenant control plane that supports zero-touch provisioning of edge cloud resources as close as possible to the users. 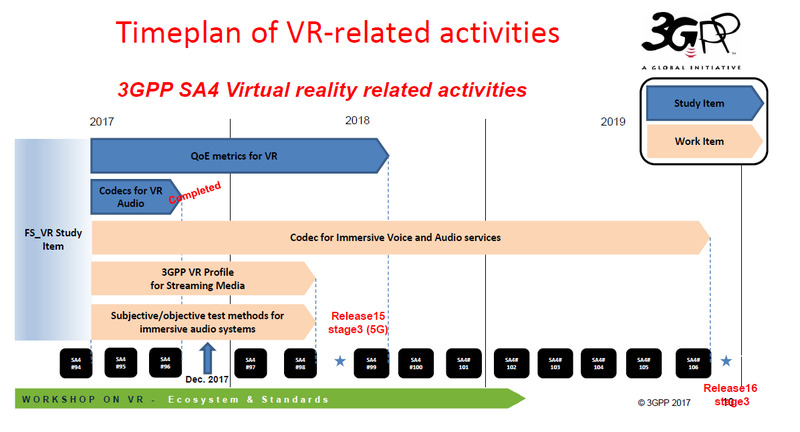 Immediate examples of what this enables include performance boosts for Augmented Reality and Mixed Reality (MR) experiences as well as video and image processing that meets local privacy regulations. Samsung has been working together with Deutsche Telekom, MobiledgeX, and Niantic on a natively edge-capable connectivity and authentication in Samsung Galaxy S10+ to interface with MobiledgeX Edge-Cloud R1.0 and dynamically access the edge infrastructure it needs so that augmented reality and mixed reality applications can take advantage of edge unmodified. Samsung will continue such collaborations with industry-leading partners not only to embrace a native device functionality of edge discovery and usage for the mobile devices and consumers, but also to seek a way together to create new business models and revenue opportunities leading into 5G era. Deutsche Telekom’s ultra-low latency network was able to deliver on the bandwidth demands of “Codename: Neon” because it deployed MobiledgeX’s edge software services, built on dynamically managed decentralized cloudlets. 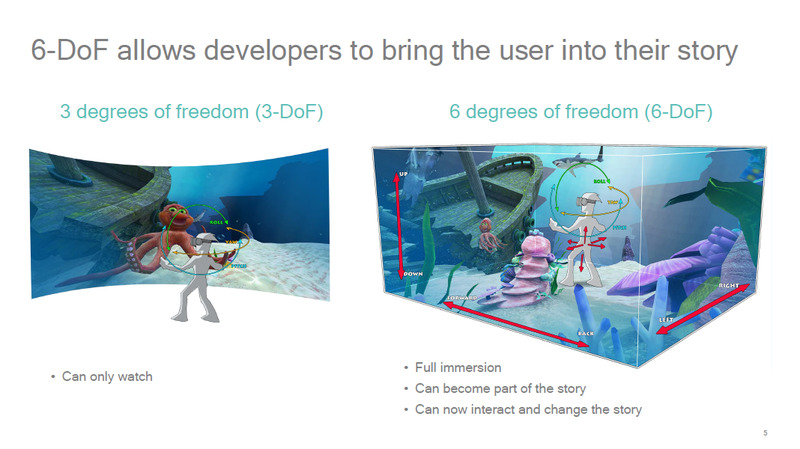 “From our initial partnership agreement in October, we are thrilled to showcase the speed at which we can move from idea to experience, with full end-to-end network integration, delivered on Samsung industry leading edge native devices,” said Alex Jinsung Choi, Senior Vice President Strategy and Technology Innovation at Deutsche Telekom. From the gaming industry to industrial IoT, and computer vision applications, consumer or enterprise, the experience is a great example of interactive AR experiences coming from companies like Niantic in the near future. 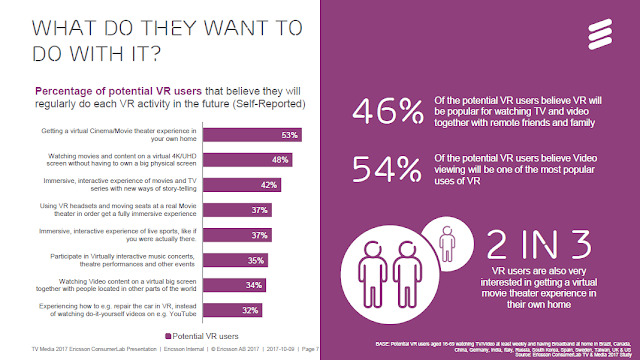 As AR/VR/MR immersive experiences continue to shape our expectations, devices, networks and clouds need to seamlessly and dynamically collaborate. 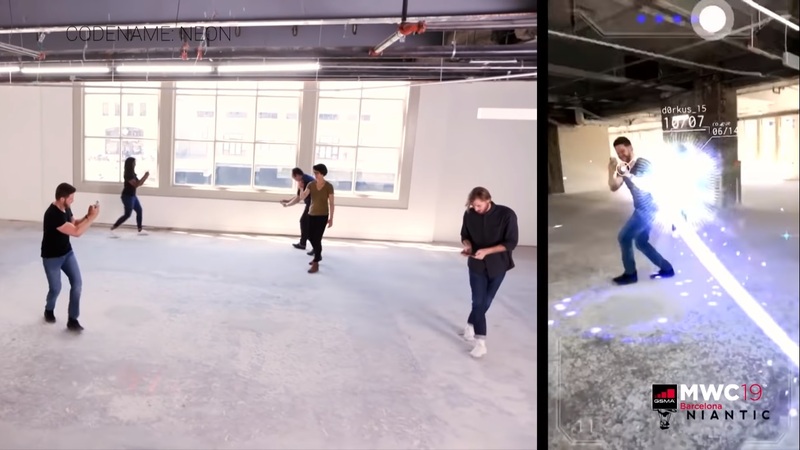 Hanke showed a video of a prototype game Niantic has developed codenamed Neon that allows multiple people in the same place at the same time to play an augmented reality game. Players can shoot at each other, duck and dodge, and pick up virtual reality items, with each player’s phone showing them the game’s graphics superimposed on the real world. But the game depends on highly responsive wireless connections for all the phones, connections unavailable on today’s 4G LTE networks. Here is the video, it's very interesting and definitely worth a watch. For those who may not know, Niantic spun out of Google in October 2015 soon after Google's announcement of its restructuring as Alphabet Inc. During the spinout, Niantic announced that Google, Nintendo, and The Pokémon Company would invest up to $30 million in Series-A funding. So what do you think, can AR / MR be the killer App 5G needs? that by default its devices require a network to support Category 6 LTE, and for the total combined bandwidth to exceed 20MHz, before they will display the “4G+” icon. Networks in South Africa frequently don’t have over 20MHz of aggregated bandwidth available, though. As a result, one network asked Samsung to reduce the combined bandwidth requirement for the 4G+ icon to display to 15MHz, which Samsung approved. “Samsung’s global policy regarding the display of the LTE/LTE-A/4G/4G+ network icon is that the network icon display is operator-configurable upon official request and Samsung approval,” it said. The reason this is interesting is because LTE is really 3.9G but generally called 4G. LTE-A is supposed to be 4G because in theory it meets IMT-Advanced criteria. Then we have LTE-Advanced Pro, which is known as 4.5G. While in majority of the operators display 4.5G as 4G or 4G+, couple of operators has decided to become a bit innovative. AT&T started by updating the network icons of some of their devices to 5GE, which is their way of saying 4.5G. E stands for Evolution. Or as some people joked, it stands for economy (or value) version, as opposed to premium version. Brazilian operator Claro, decided to use the 4.5G icon but the 5 is much larger font compared to 4 (see the pic above). Some people call this as dishonest attempt by them. I see a few people asking how can devices decide if they are on 4G or 4.5G. There is no standard procedure for this and is UE specific. One way is to look at RRC messages. If the system information messages contain optional IE's for 3GPP Release-13, then the network supports LTE-A Pro and if the device supports the features for LTE-A Pro, it can display 4.5G or 5GE, etc. Another approach is the optional IEs present in NAS Attach Accept message. As this comes slightly later in the registration process, the device displays 4G first and once the registration is complete, 4.5G. Note there is no requirement from standards point of view about displaying of the network status indication icon up to 4G/4.5G. 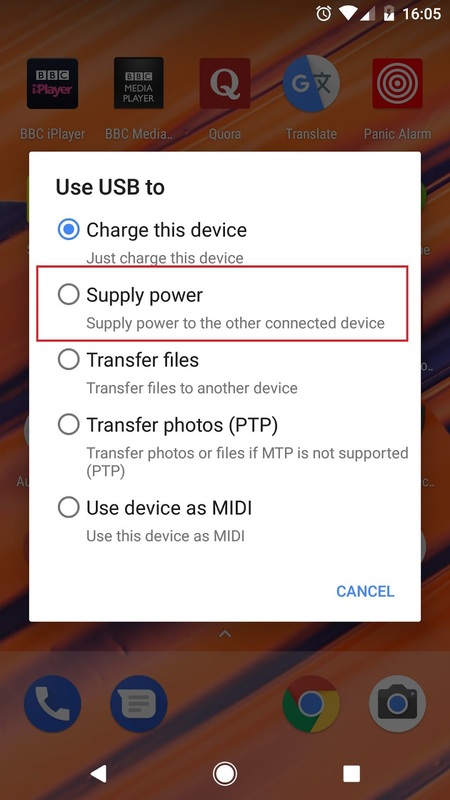 With this number of System and Radio access options available, one or more new status icons are expected to appear on the User Interface of future (mobile) devices. A user should expect consistency across devices and networks as to what icons actually mean (i.e. what services might be expected when an icon is displayed). 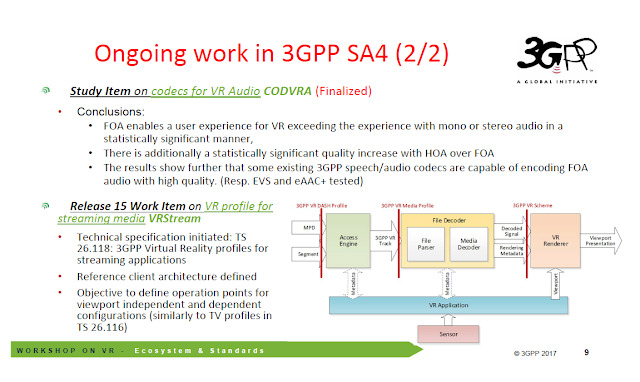 While 3GPP specifications are not expected to define or discuss Service or RAT indicators in the User Interface themselves, 3GPP should provide the necessary tools in EPS and 5GS to enable them. It is therefore necessary to understand the conditions required for displaying these icons and with which granularity so we can identify what information ought to be available in/made available to the device. - UE is in connected mode using NR, E-UTRA (in 5GS) or dual connectivity between E-UTRA and NR. 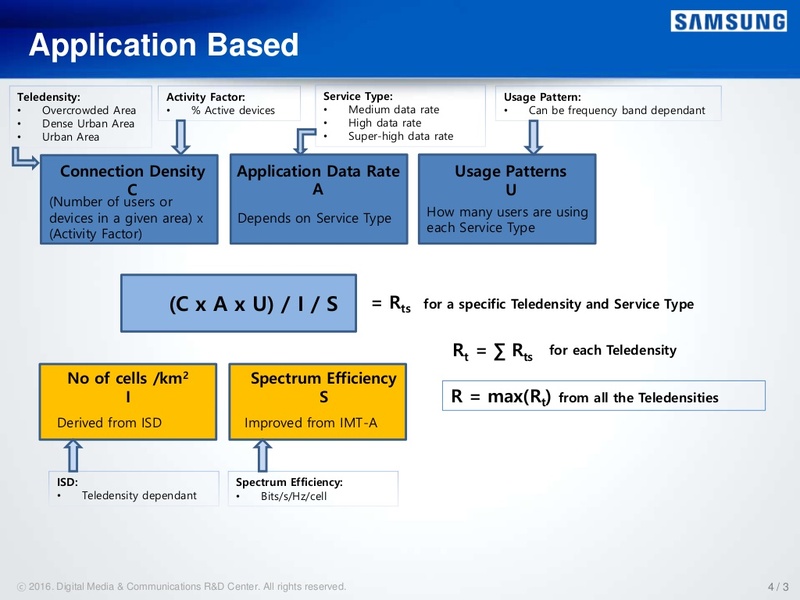 Given the above, SA2 would like to kindly ask for any feedback from GSMA FNW and NGMN on requirements and granularity for Service indicators and/or RAT indicators related to 5G. As there is no consensus on a single preferred configuration, it is desirable to make the display of 5G status icon in the UE configurable such that the display of 5G status icon can be made depending on operator preference. 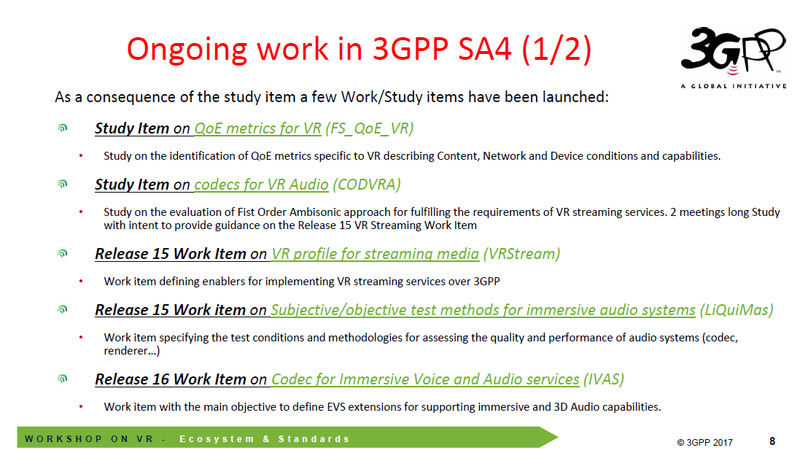 This proposal by GSMA was noted by 3GPP in R2-1803949. 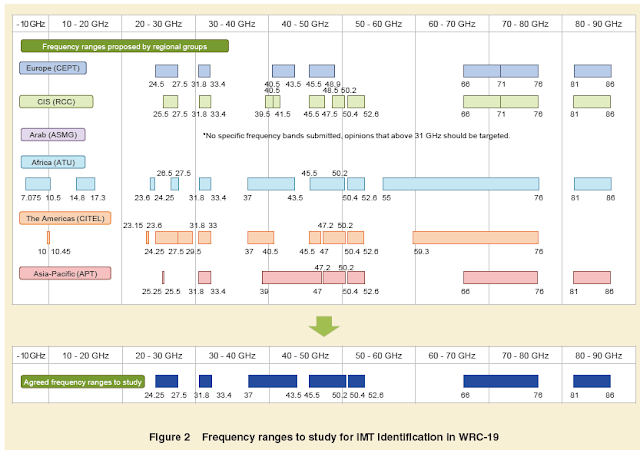 RAN WG2 would like to inform GSMA and SA2 that, according to GSMA and SA2 recommendations (LSs R2-1713952 and S2-175270, respectively), RAN WG2 introduced 1 bit indication per PLMN called “upperLayerIndication” within LTE SIB 2. 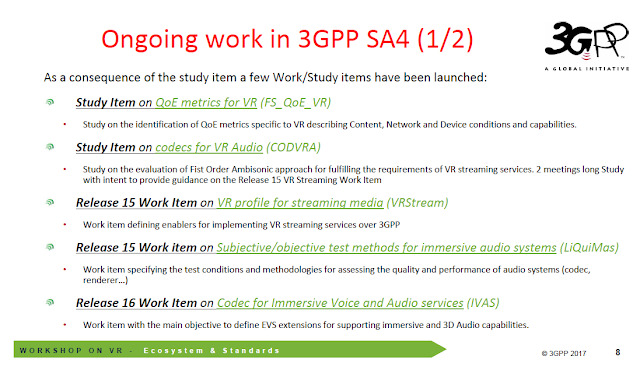 This bit enables the realization of the configurations based on UE states as per recommendation from GSMA (e.g. 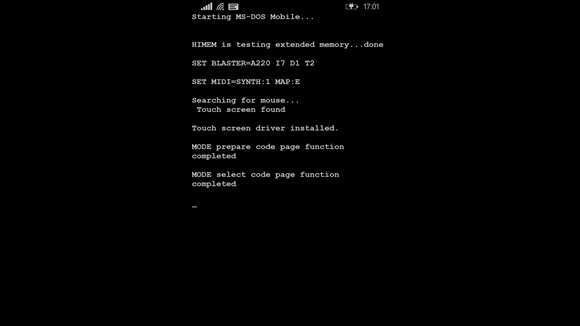 RRC_IDLE UE as for State 2 in LS R2-1713952 from GSMA)”. For idle mode UEs this is the only mechanism agreed. Actions: RAN WG2 would like to ask GSMA and SA2 to take the information above into account. Hopefully there will be less confusion when 5G is rolled out about the status icons. In the meantime we might see some more 4.5G icon innovations. IET recently held the 6th Annual 5G conference bringing together key players in the 5G world. You can watch the videos for that event here (not all have been uploaded at the time of writing this post). We reached out to Dr. Yue Wang to share her presentation with us and she has kindly done so. The presentation and video are embedded below. 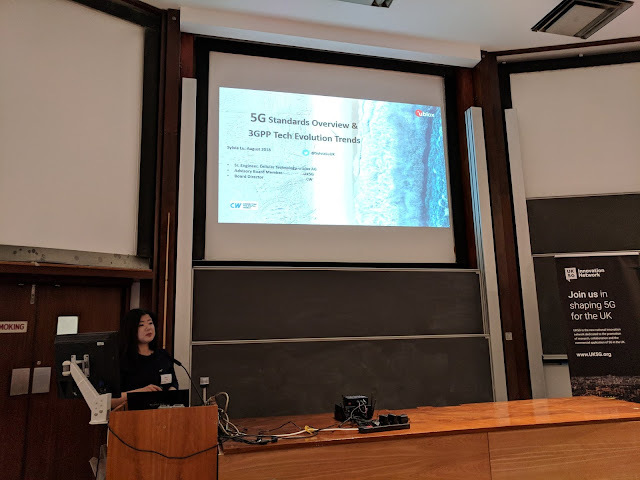 I was part of Cambridge Wireless CWTEC 2018 organising committee where our event 'The inevitable automation of Next Generation Networks' covered variety of topics with AI, 5G, devices, network planning, etc. The presentations are available freely for a limited period here. One of the thought provoking presentations was by Yue Wang from Samsung R&D. 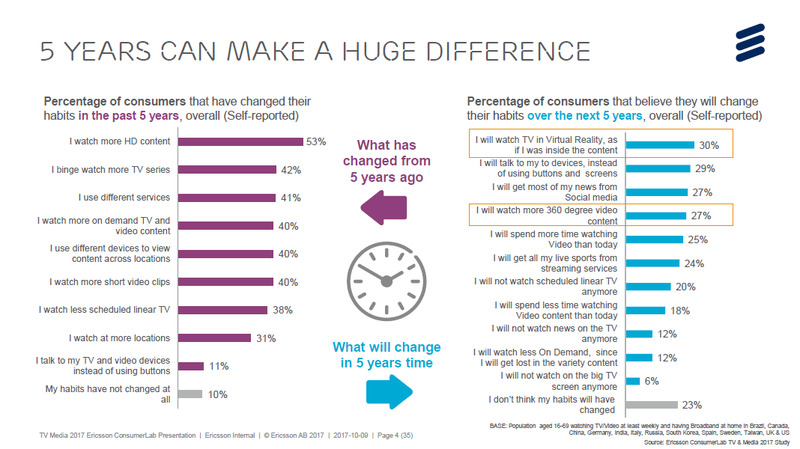 The presentation is embedded below and can be downloaded from Slideshare. While the device-level AI and network-level AI would generally work cooperatively, there is a risk that some vendor may play the system to make their devices perform better than the competitors. Something similar to the signaling storm generated by SCRI (see here). If the device-level and network-level AI works constructively, an operator may be able to claim that their network can provide a better battery life for a device. For example iPhone XYZ has 25% better battery life on our network rather than competitors network. If the device-level and network-level AI works destructively for any reason then the network can become unstable and the other users may experience issues. I guess all these enhancements will start slowly and there will be lots of learning in the first few years before we have a stable, mutually beneficial solution. 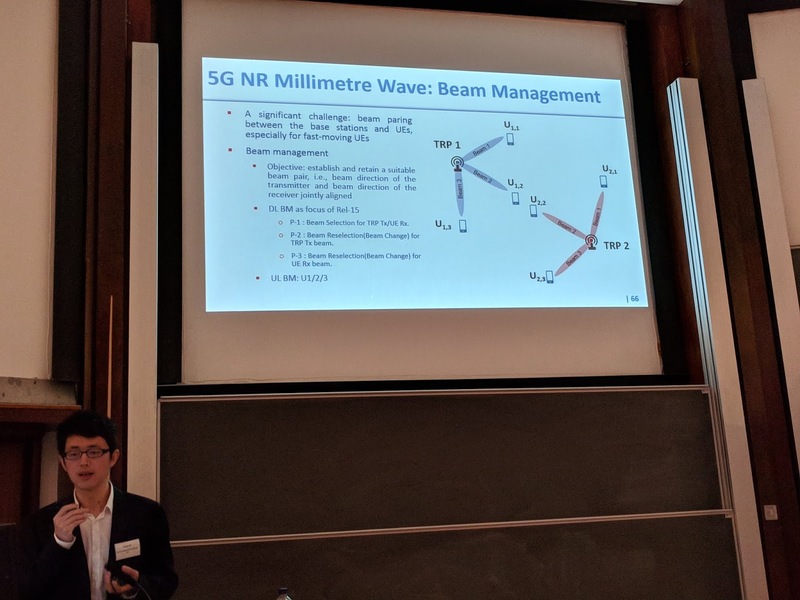 A recent Cambridge Wireless event 'Radio technology for 5G – making it work' was an excellent event where all speakers delivered an interesting and insightful presentation. These presentations are all available to view and download for everyone for a limited time here. I blogged about the base station antennas last week but there are other couple of presentations that stood out for me. The other presentation on 5G NR was one from Yinan Qi of Samsung R&D. 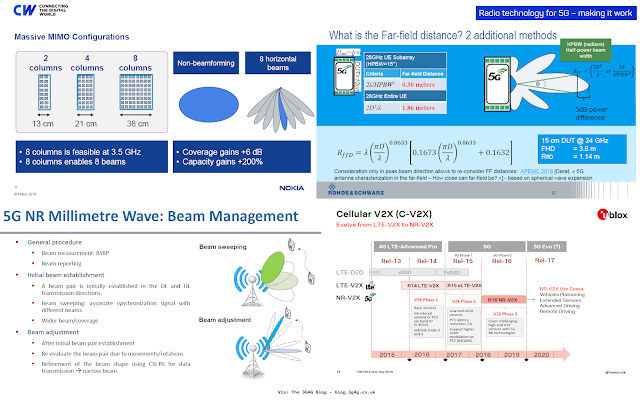 His presentation looked at variety of topics, mainly Layer 1 including Massive MIMO, Beamforming, Beam Management, Bandwidth Part, Reference Signals, Phase noise, etc. His presentation is embedded below and can be downloaded from SlideShare. The second one is work in progress though. 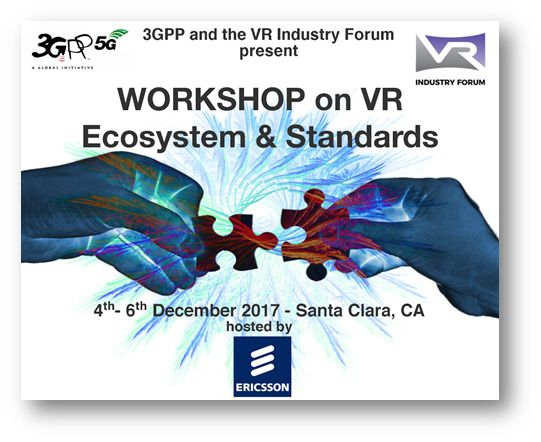 Anyway, back in Dec. 3GPP and Virtual Reality Industry Forum (VRIF) held a workshop on VR Ecosystem & Standards. All the materials, including agenda is available here. The final report is not there yet but I assume that there will be a press release when the report is published. XR is 'cross reality', which is any hardware that combines aspects of AR, MR and VR; such as Google Tango. Some good stuff in the pres. You can check and download all the presentations here. You are probably all aware of the Samsung Galaxy Note 7 catching fires. In case you are interested in knowing the reasons, Guardian has a good summary here. 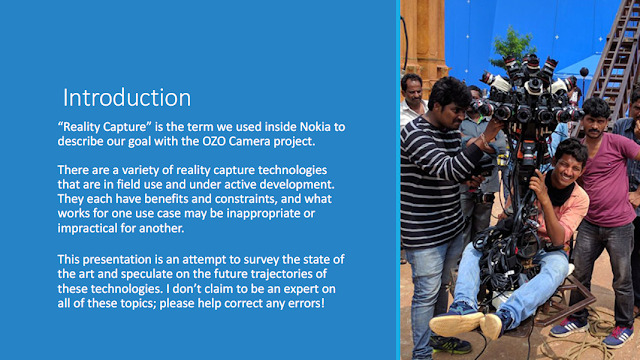 You can also see the pic below that summarises the issue. Lithium-ion batteries have always been criticized for its abilities to catch fire (see here and here) but researchers have been working on ways to reduce the risk of fire. There are some promising developments. The electrochemical masterminds at Stanford University have created a lithium-ion battery with built-in flame suppression. When the battery reaches a critical temperature (160 degrees Celsius in this case), an integrated flame retardant is released, extinguishing any flames within 0.4 seconds. Importantly, the addition of an integrated flame retardant doesn't reduce the performance of the battery. Researchers at the University of Maryland and the US Army Research Laboratory have developed a safe lithium-ion battery that uses a water-salt solution as its electrolyte. 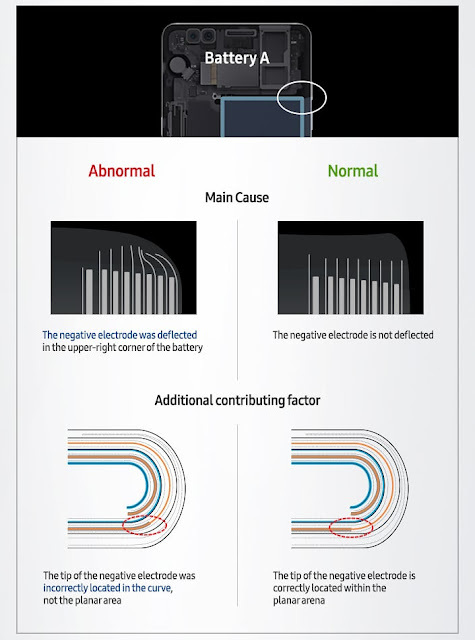 Lithium-ion batteries used in smartphones and other devices are typically non-aqueous, as they can reach higher energy levels. Aqueous lithium-ion batteries are safer as the water-based electrolytes are inflammable compared to the highly flammable organic solvents used in their non-aqueous counterparts. The scientists have created a special gel, which keeps water from reacting with graphite or lithium metal and setting off a dangerous chain reaction. Bloomberg has a good report as to why we’re going to need more Lithium. Starting about two years ago, fears of a lithium shortage almost tripled prices for the metal, to more than $20,000 a ton, in just 10 months. The cause was a spike in the market for electric vehicles, which were suddenly competing with laptops and smartphones for lithium ion batteries. Demand for the metal won’t slacken anytime soon—on the contrary, electric car production is expected to increase more than thirtyfold by 2030, according to Bloomberg New Energy Finance. Even if the price of lithium soars 300 percent, battery pack costs would rise only by about 2 percent. 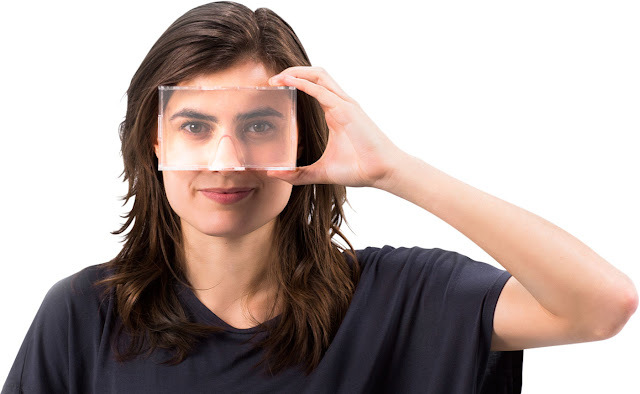 University of Washington researchers recently demonstrated the world's first battery-free cellphone, created with funding from the U.S. National Science Foundation (NSF) and a Google Faculty Research Award for mobile research. The battery-free technology harvests energy from the signal received from the cellular base station (for reception) and the voice of the user (for transmission) using a technique called backscattering. Backscattering for battery-free operation is best known for its use in radio frequency identification (RFID) tags, typically utilized for applications such as locating products in a warehouse and keeping track of high-value equipment. An RFID base station (called a reader) "pings" the tag with an RF pulse, which allows the tag to harvest microwatts of energy from it—enough to return a backscattered RF signal modulated with the identity of the item. Unfortunately, harvesting generates very little energy; so little, that you really need a new standard. For instance, Wi-Fi signals transmit continuously, but harvesting that energy constantly will only enable transmissions of about 10 feet today. Range will be the big challenge for making this technology successful. So we wont be seeing them anytime soon unfortunately. Recycling of materials is always a concern, especially now that the use of Lithium-ion is increasing. Financial Times (FT) recently did a good summary of all the companies trying to recycle Lithium, Cobalt, etc. Mr Kochhar estimates over 11m tonnes of spent lithium-ion batteries will be discarded by 2030. The company is looking to process 5,000 tonnes a year to start with and eventually 250,000 tonnes — a similar amount to a processing plant for mined lithium, he said. 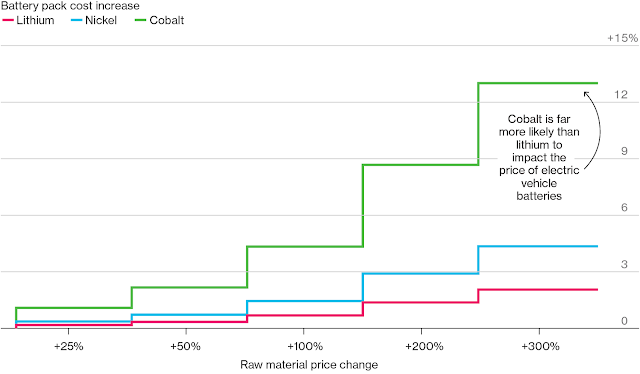 The battery industry currently uses 42 percent of global cobalt production, a critical metal for Lithium-ion cells. The remaining 58 percent is used in diverse industrial and military applications (super alloys, catalysts, magnets, pigments…) that rely exclusively on the material. According to Wikipedia, The purpose of the Cobalt (Co) within the LIBs is to act as a sort of bridge for the lithium ions to travel on between the cathode (positive end of the battery) and the anode (the negative end). During the charging of the battery, the cobalt is oxidized from Coᶾ⁺ to Co⁴⁺. This means that the transition metal, cobalt, has lost an electron. During the discharge of the battery the cobalt is reduced from Co⁴⁺ to Coᶾ⁺. Reduction is the opposite of oxidation. It is the gaining of an electron and decreases the overall oxidation state of the compound. Oxidation and reduction reactions are usually coupled together in a series of reactions known as red-ox (reduction-oxidation) reactions. This chemistry was utilized by Sony in 1990 to produce lithium ion cells. From Treehugger: An excellent investigative piece by the Washington Post called “The cobalt pipeline: From dangerous tunnels in Congo to consumers’ mobile tech” explores the source of this valuable mineral that everyone relies on, yet knows little about. “Lithium-ion batteries were supposed to be different from the dirty, toxic technologies of the past. Lighter and packing more energy than conventional lead-acid batteries, these cobalt-rich batteries are seen as ‘green.’ They are essential to plans for one day moving beyond smog-belching gasoline engines. Already these batteries have defined the world’s tech devices. What The Post found is an industry that’s heavily reliant on ‘artisanal miners’ or creuseurs, as they’re called in French. These men do not work for industrial mining firms, but rather dig independently, anywhere they may find minerals, under roads and railways, in backyards, sometimes under their own homes. It is dangerous work that often results in injury, collapsed tunnels, and fires. The miners earn between $2 and $3 per day by selling their haul at a local minerals market. There is a big potential for reducing waste and improving lives, hopefully we will see some developments on this front soon. Dan Warren, former GSMA Technology Director who created VoLTE and coined the term 'Phablet' has been busy with his new role as Head of 5G Research at Samsung R&D in UK. In a presentation delivered couple of days back at Wi-Fi Global Congress he set out a realistic vision of 5G really means. "I started with a comment I have made before – I really hate the term 5G. It doesn’t allow us to have a proper discussion about the multiplicity of technologies that have been throw under the common umbrella of the term, and hence blurs the rationale for one why each technology is important in its own right. What I have tried to do in these slides is talk more about the technology, then look at the 5G requirements, and consider how each technology helps or hinders the drive to meet those requirements, and then to consider what that enables in practical terms. 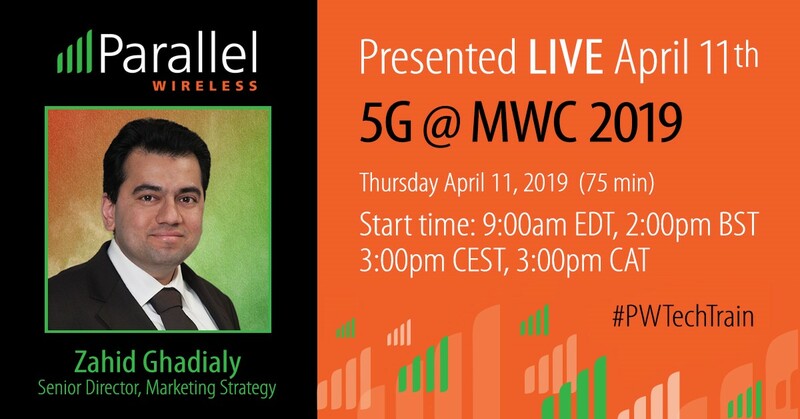 The session was titled ‘5G – beyond the hype’ so in the first three slides I cut straight to the technology that is being brought in to 5G. Building from the Air Interface enhancements, then the changes in topology in the RAN and then looking at the ‘softwarisation’ on the Core Network. This last group of technologies sets up the friction in the network between the desire to change the CapEx model of network build by placing functions in a Cloud (both C-RAN and an NFV-based Core, as well as the virtualisation of transport network functions) and the need to push functions to the network edge by employing MEC to reduce latency. You end up with every function existing everywhere, data breaking out of the network at many different points and some really hard management issues. 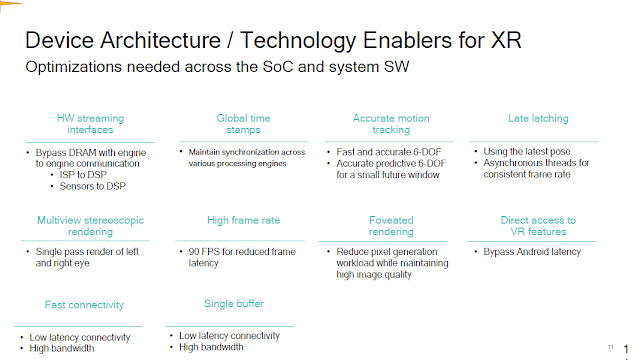 On slide 5 I then look at how these technologies line up to meeting 5G requirements. It becomes clear that the RAN innovations are all about performance enhancement, but the core changes are about enabling new business models from flexibility in topology and network slicing. There is also a hidden part of the equation that I call out, which is that while technology enables the central five requirements to be met, they also require massive investment by the Operator. For example you won’t reach 100% coverage if you don’t build a network that has total coverage, so you need to put base stations in all the places that they don’t exist today. On the next slide I look at how network slicing will be sold. There are three ways in which a network might be sliced – by SLA or topology, by enterprise customer and by MVNO. The SLA or topology option is key to allowing the co-existence of MEC and Cloud based CN. The enterprise or sector based option is important for operators to address large vertical industry players, but each enterprise may want a range of SLA’s for different applications and devices, so you end up with an enterprise slice being made up of sub-slices of differing SLA and topology. Then, an MVNO may take a slice of the network, but will have it’s own enterprise customers that will take a sub-slice of the MVNO slice, which may in turn be made of sub-sub-slices of differing SLAs. Somewhere all of this has be stitched back together, so my suggestion is that ‘Network Splicing’ will be as important as network slicing. 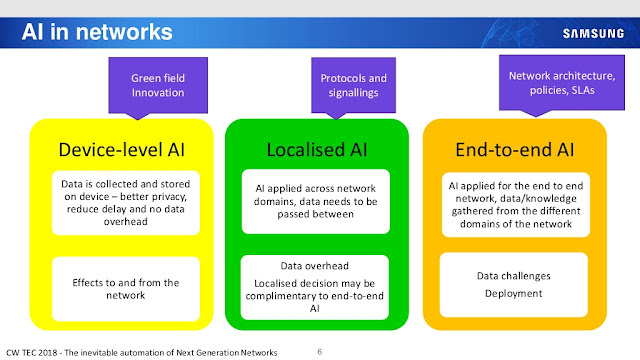 Slide illustrates all of this again and notes that there will also be other networks that have been sliced as well, be that 2G, 3G, 4G, WiFi, fixed, LPWA or anything else. There is also going to be an overarching orchestration requirement both within a network and in the Enterprise customer (or more likely in System Integrator networks who take on the ‘Splicing’ role). The red flags are showing that Orchestration is both really difficult and expensive, but the challenge for the MNO will also exist in the RAN. The RRC will be a pinch point that has to sort out all of these device sitting in disparate network topologies with varying demands on the sliced RAN. 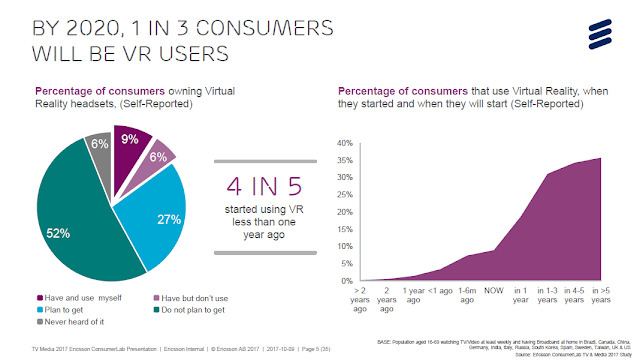 Then, in the next four slides I look at the business model around this. Operators will need to deal with the realities of B2B or B2B2C business models, where they are the first B. The first ‘B’s price is the second ‘B’s cost, so the operator should expect considerable pressure on what it charges, and to be held contractually accountable for the performance of the network. If 5G is going to claim 100% coverage, 5 9’s reliability, 50Mbps everywhere and be sold to enterprise customers on that basis, it is going to have to deliver it else there will be penalties to pay. 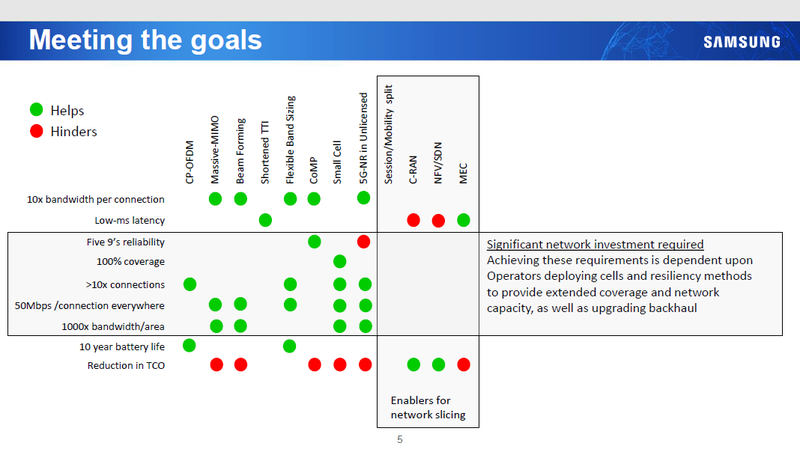 On the flip side to this, if all operators do meet the 5G targets, then they will become very much the same so the only true differentiation option will be on price. With the focus on large scale B2B contracts, this has all the hallmarks of a race downwards and commoditisation of connectivity, which will also lead to disintermediation of operators from the value chain on applications. So to conclude I pondered on what the real 5G justification is. Maybe operators shouldn’t be promising everything, since there will be healthy competition on speed, coverage and reliability while those remain as differentiators. Equally, it could just be that operators will fight out the consumer market share on 5G, but then that doesn’t offer any real uplift in market size, certainly not in mature developed world markets. The one thing that is sure is that there is a lot of money to be spent getting there." How much spectrum would 5G need? 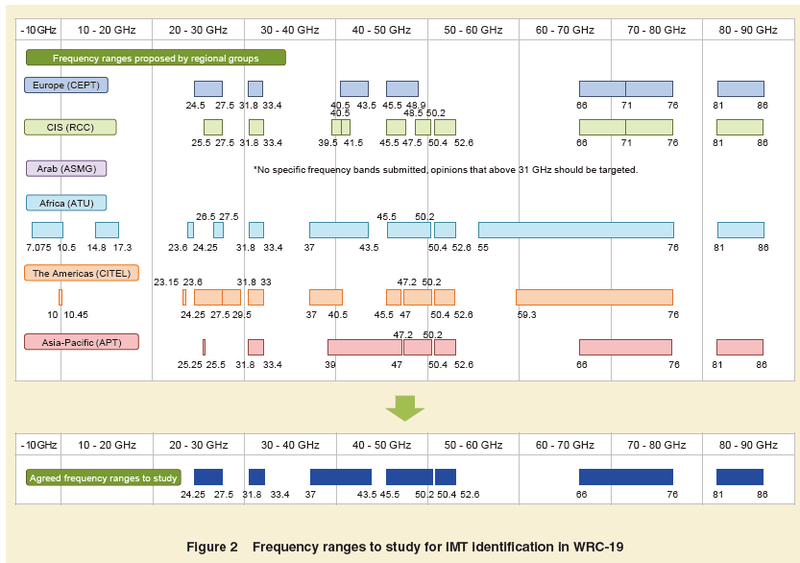 The above picture is a summary of the spectrum that was agreed to be studied for IMT-2020 (5G). You can read more about that here. I have often seen discussions around how much spectrum would be needed by each operator in total. While its a complex question, we cannot be sure unless 5G is defined completely. There have been some discussions about the requirements which I am listing below. More informed readers please feel free to add your views as comments. Real Wireless has done some demand analysis on how much spectrum is required for 5G. A report by them for European Commission is due to be published sometime soon. 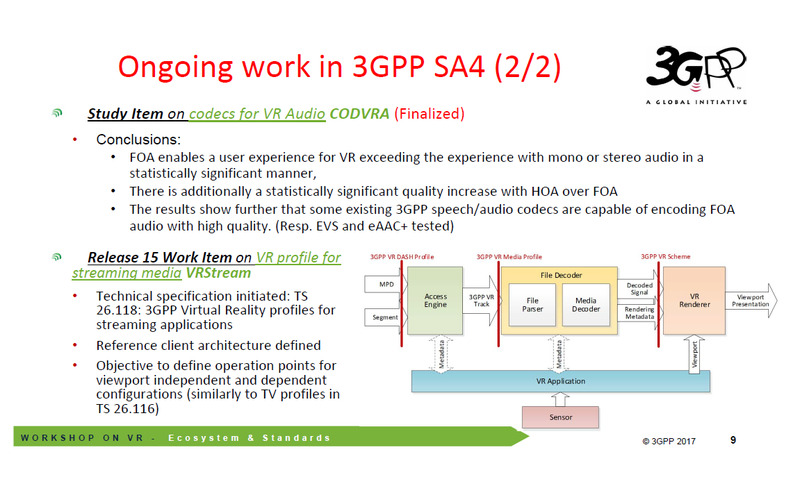 As can be seen in the slide above, one of the use cases is about multi gigabit motorway. If the operators deploy 5G the way they have deployed 4G then 56 GHz of spectrum would be required. 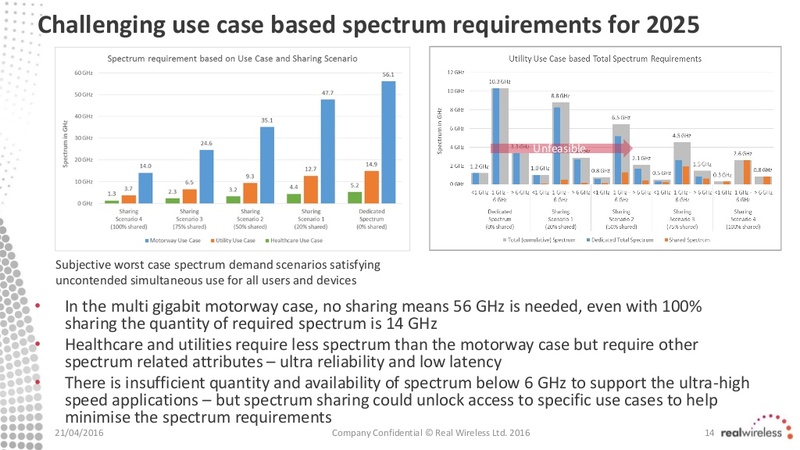 If they move to a 100% shared approach where all operators act as MVNO and there is another entity that deploys all infrastcture, including spectrum then the spectrum requirement will go down to 14 GHz. The UK Spectrum Policy Forum (UKSPF) recently held a workshop on Frequency bands for 5G, the presentations for which are available to download on the link I provided. Its going to be a huge challenge to estimate what applications will require how much amount of spectrum and what would be the priority as compared to other applications. 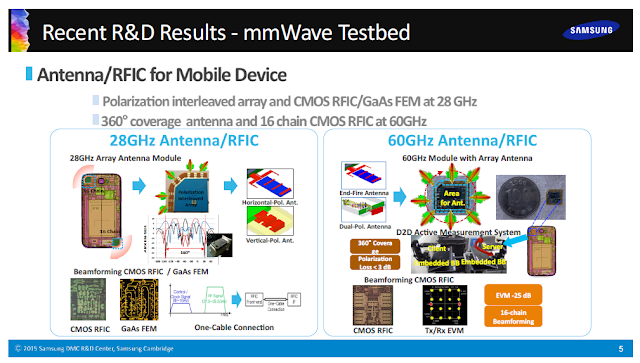 mmMagic is one such group looking at spectrum requirements, use cases, new concepts, etc. They have estimated that around 3.1GHz would be required by each operator for 99% reliability. This seems more reasonable. It would be interesting to see how much would operators be willing to spend for such a quantity of spectrum. Samsung is one of the 5G pioneers who has been active in this area for quite a while, working in different technology areas but also making results and details available for others to appreciate and get an idea on what 5G is all about. I published a post back in 2014 from their trials going on then. Since then they have been improving on these results. 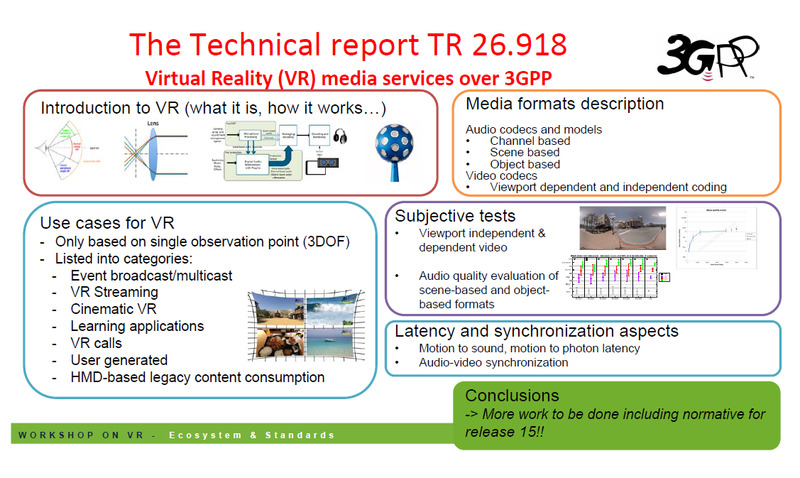 They recently also published the 5G vision paper which is available here and here. In the recent 5G Huddle, Raj Gawera from Samsung gave an excellent presentation (below) on the topic of "The future connected world". 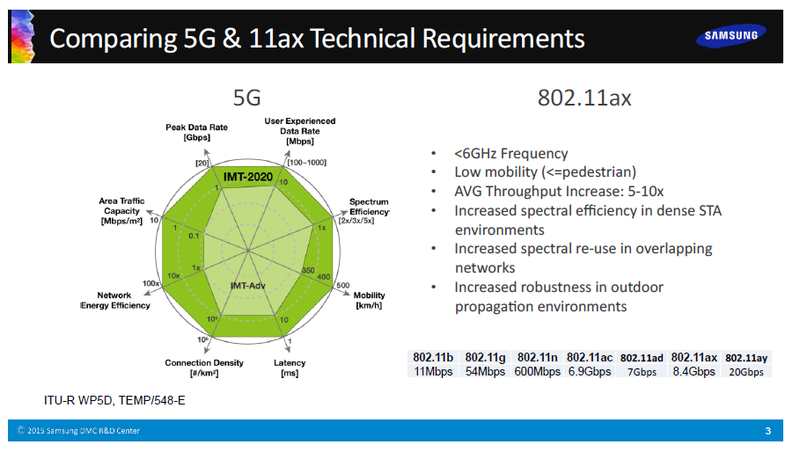 What we really liked is how closely 5G and 802.11ax can be considered aligned, not only in terms of requirements but also the roadmap. Anyway, here is the presentation embedded below. Let me know what you think in the comments below. When I posted April Fools' jokes on the blog last couple of years (see 2014 & 2015) , they seem to be very popular so I thought its worth posting them this year too. If I missed any interesting ones, please add in comments. Wi-Fly: Gone are the days of unnoticed, unzipped trouser zippers upon exiting the restroom. Should your fly remain open for more than three minutes, the ZipARTIK module will send a series of notifications to your smartphone to save you from further embarrassment. Get Up! Alert: Using pressure sensors, Samsung’s intelligent trousers detect prolonged periods of inactivity and send notifications to ‘get up off of that thing’ at least once an hour. Should you remain seated for more than three hours, devices embedded in each of the rear pockets send mild electrical shocks to provide extra motivation. Keep-Your-Pants-On Mode: Sometimes it’s easy to get carried away with the moment. The Samsung Bio-Processor in your pants checks your bio-data including your heart rate and perspiration level. If these indicators get too high, Samsung’s trousers will send you subtle notifications as a reminder of the importance of keeping your cool. 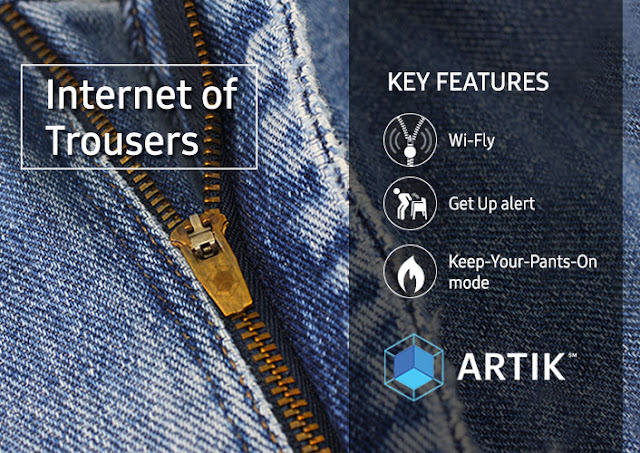 Fridge Lock: If the tension around your waist gets too high, the embedded ARTIK chip module will send signals to your refrigerator to prevent you from overeating. The fridge door lock can then only be deactivated with consent from a designated person such as your mother or significant other. 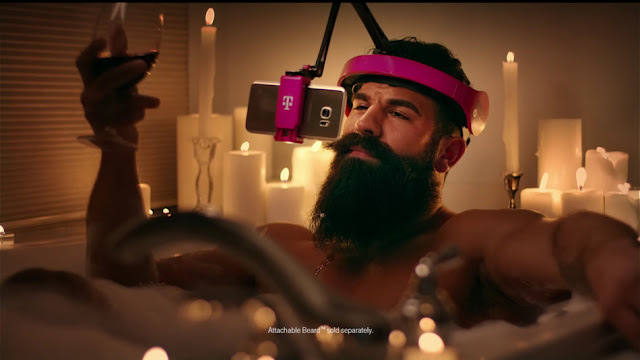 T-Mobile USA is not shy pulling punches on its rivals with the Binge On data plan where it lets people view certain video channels without using up their data. Here is the video and more details on mashable. Google had quite a few pranks as always. I will ignore 'mic drop' which backfired and caused them headache. Finally, its the Google Fiber Teleportation. GeekWire: What’s realer than real?